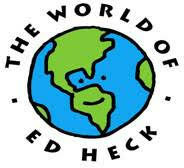 Ed Heck & The Felix Organization "Rock On! Get your “ROCK ON!” DOG exclusive merchandise and help send a foster child to “Camp Felix”. Then take a photo doing your best “rock hands”, post it on social media and invite others to do the same! Men's & Women's T-shirts and Crewneck sweatshirt available in drop down! 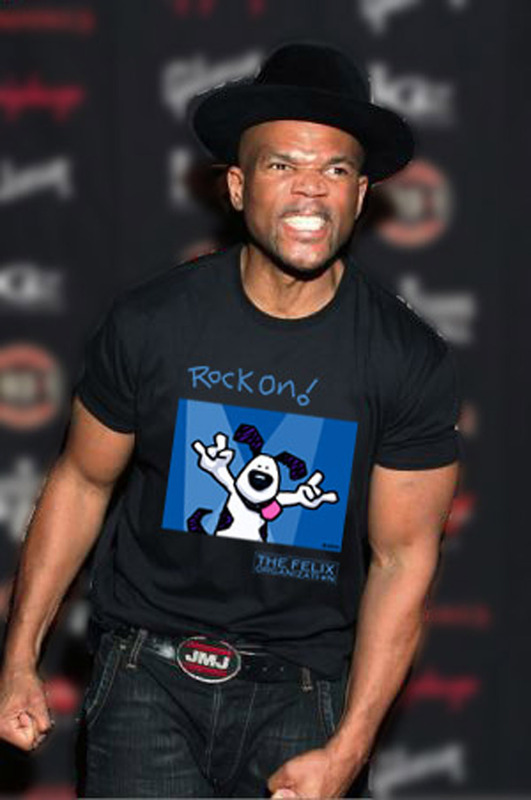 Felix Foundation Co-Founder Darryl “DMC” McDaniels with his “Rock On!” DOG tee ! 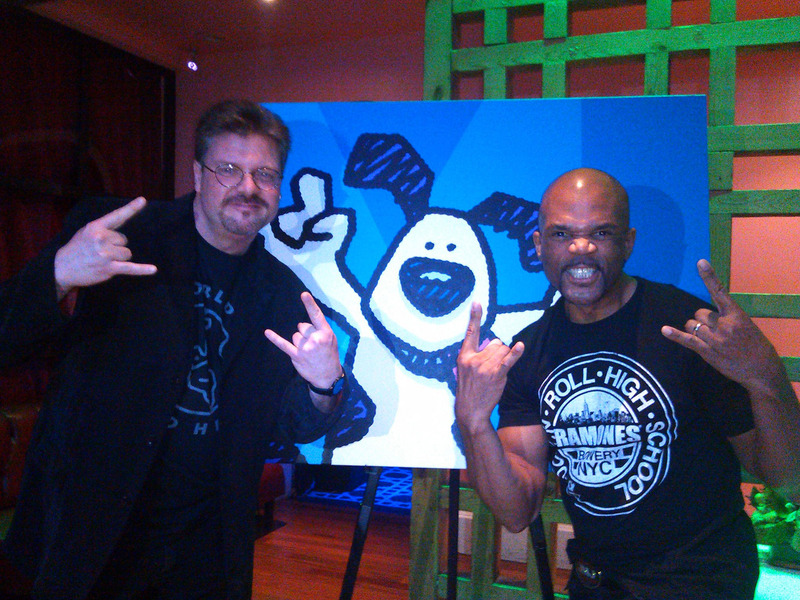 Pop Artist Ed Heck with Co-Founder Darryl “DMC” McDaniels and the original “Rock On!" Dog painting celebrating Felix’s Birthday. The Felix Organization was founded in 2006 by Rock ’n Roll Hall of Famer, Darryl “DMC” McDaniels and Emmy Award winning casting director, Sheila Jaffe. Both adopted and grateful to have been “taken home”, they were compelled to use their resources and experience to enrich the lives of children growing up in the foster care system. They had no idea the impact this partnership would have on the lives of so many disadvantaged children. Last summer, Felix sent our 1,000th child to Camp Felix, an overnight camp in Putnam Valley, NY designed to meet the unique needs of youth in foster care. Felix also sponsors Camp Felix West, a camp serving Los Angeles based foster youth and offers programs to help foster children in New York City to reach their dreams throughout the year. Felix helps youth in foster care become tomorrow's leaders. Our young adults have become camp counselors. They have gone to college. And they have defied the statistics to achieve their unique dreams and goals. To date, 30 Camp Felix campers have become Counselors In Training, five campers have become volunteers on their way to becoming paid staff, and four former campers have moved into the role of Camp Felix employee. These opportunities help our youth build job experience, expand their leadership skills, and learn on-the-job competencies that will help them begin their professional careers.